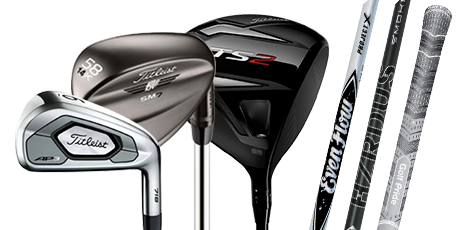 Titleist designs the highest performing golf equipment in the world and is the choice of more players at every level of competitive golf. Titleist equipment helps players reach the top of the leaderboards and can be found in the bags of serious golfers all over the world. 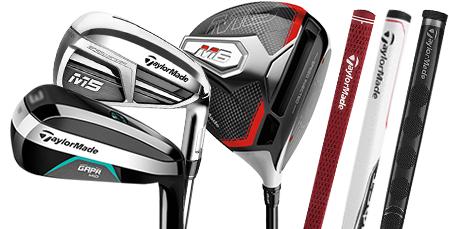 TaylorMade has a strong track record for producing amazing golf clubs across all product categories thanks to an affinity for giving players an outstanding combination of distance, forgiveness and playability. Callaway Golf is hands down one of the most technologically advanced golf equipment manufacturers in the world today. 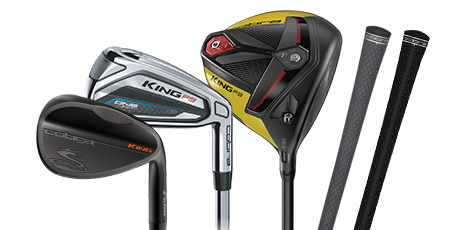 The technological advances that Callaway Golf is known for produces some of the best golf equipment on the market today and one of the most highly sought after brands by players of all levels. 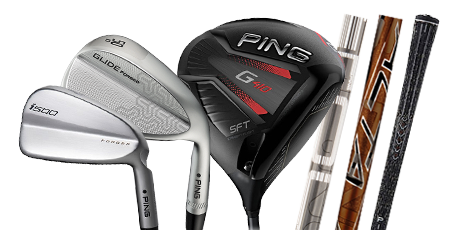 PING is identified as a global leader of innovation, quality and service in the world of golf. PING is responsible for many innovations in golf equipment from its roots in the original PING putter to its current wide range of golf products. 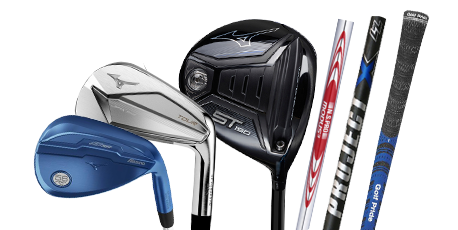 Cobra Golf is synonymous with innovation in every facet of the game of golf. Cobra Golf was one of the first pioneers to develop the hybrid clubs that we use today, the first US manufacturer to offer graphite shafts as a stock option and the first to offer a full set of oversized irons. 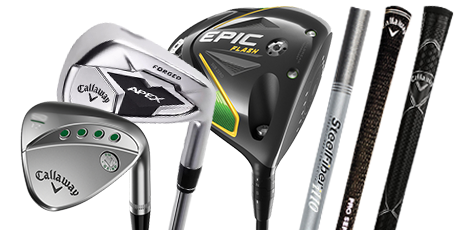 Most well-known for its balls, Srixon also offers a full range of topnotch golf clubs making its way into more and more bags of professional golfers around the world. Bridgestone continues to push the performance capabilities for all golf products and is the number one golf ball producer in Japan. Design and production of golf clubs with the same passion for excellence has propelled Bridgestone to be one of the global leaders in golf equipment. Be your Best! 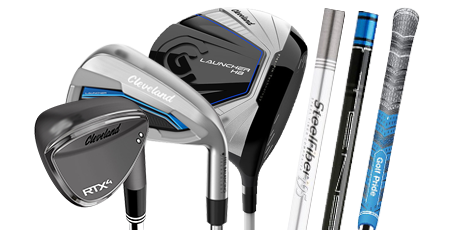 No golf company has more experience crafting, customizing and innovating a single dimension of the game than Cleveland Golf with the short game. Cleveland Golf makes the #1 selling wedge of all time and have been helping players improve their short game since 1979. 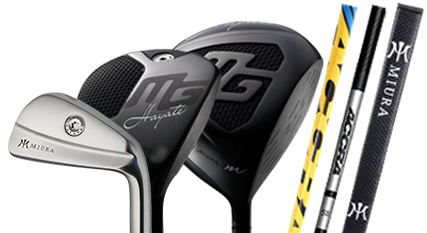 Miura Golf of Japan makes the world’s finest forged golf clubs, designed and manufactured by master craftsman Katsuhiro Miura. These clubs are hand-crafted one-by-one and will never be mass produced. Fourteen Golf is a premier club designer and manufacturer committed to ensuring that each golfer has the greatest chance for success. The brand name "Fourteen" was created from the maximum number of clubs a golfer is allowed to have in the bag during competition. 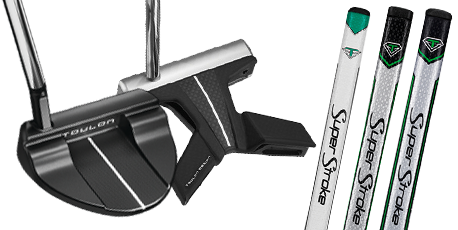 Scotty Cameron has created the finest milled putters in the world for the game's greatest players. His putters have been trusted to help secure hundreds of victories. 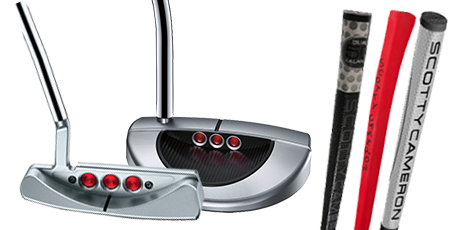 Scotty Cameron putters are the most sought after putters in the world today. 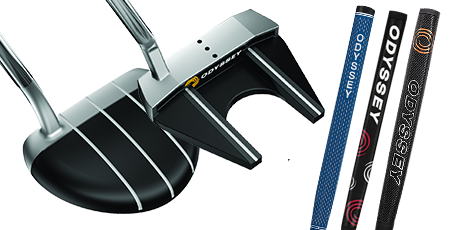 Odyssey is the #1 putter in golf with the most breakthrough putter technologies like O-Works and the Microhinge Insert, Versa Alignment Aids, White Hot RX, Tank Adjustable Counterbalance, etc. SeeMore Putters offer golfers the #1 alignment putting system in golf. SeeMore’s patented RifleScope Technology allows the golfer to set up the putter perfectly each and every time in relation to the intended target line. Bettinardi Golf is synonymous with high quality, precision and expert craftsmanship. 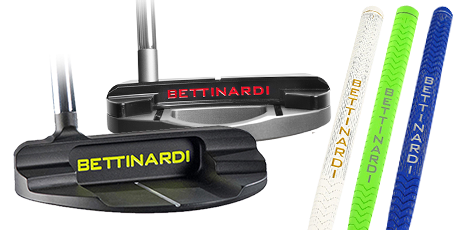 After offering PGA tour winning putters for companies like Ben Hogan and Mizuno, Bettinardi Golf is continuing to make outstanding putters with the best feel and state of the art technologies. Toulon Design putters are made from a union of premium materials, intelligent design, expert craftsmanship, beautiful shaping and advanced performance technology. 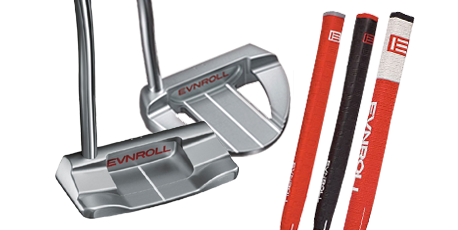 These premium putters are 100% milled and made in the USA in a small machine shop just south of Denver, Colorado. Each putter is evaluated and tested to ensure it is made to the exact specification. At the intersection of art and industrial design, ARGOLF conceived its original putter line by uniting finesse, technological precision, balance and performance.